Tempo di premi per Archimede 1.0 e il suo team. 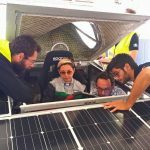 Doni frutto del costante lavoro attorno all’auto solare siracusana che abbiamo portato avanti fino a partecipare all’European Solar Challenge di settembre. 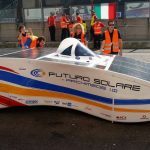 Archimede Solar Car è il primo prototipo di veicolo solare su quattro ruote prodotto con tecnologie e materiali low cost e riciclati che abbia partecipato a una gara di livello internazionale. E le sorprese non sono finite! 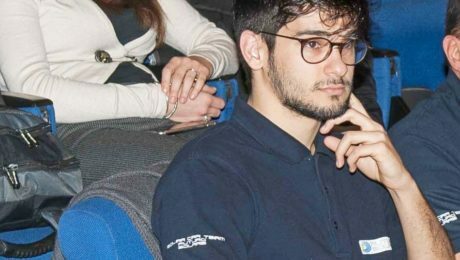 Il 12 novembre 2016 una delegazione del nostro team avrà l’onore di essere premiata presso il Tecnopolo dell’Università di Modena e Reggio Emilia. Lo storico Premio Capitani dell’Anno 2016 è alla sua prima edizione di Capitani dell’Anno Auto e Moto ed è un appuntamento atteso e costante per il mondo dell’imprenditoria italiana, della ricerca, della cultura e della solidarietà. “Un premio all’impegno, alla determinazione ed alla passione dei Capitani, che nel corso degli anni ha riunito nello stesso contesto alcune delle realtà più importanti e conosciute del Paese insieme alle più interessanti e innovative startup.”. Un riconoscimento prestigioso, arrivato a sorpresa e che siamo stati lieti di accettare, nell’intento di portare avanti le istanze che sono il cuore della nostra associazione: mobilità sostenibile, ricerca e sviluppo economico, formazione sul territorio. Awards time for Archimede 1.0 and its team. Gifts result of the devouted work around the solar car of Siracusa, Sicily, that we have continued to participate in the European Solar Challenge in September. 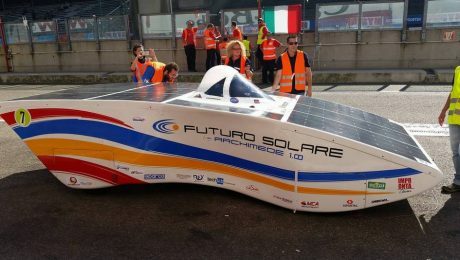 Archimede Solar Car is the first prototype of a solar car produced with low cost technologies and recycled materials that have participated in a international challenge. And that’s not all folks! The November 12, 2016 a delegation of our team will have the honor of being awarded at the Tecnopolo dell’Università di Modena e Reggio Emilia. 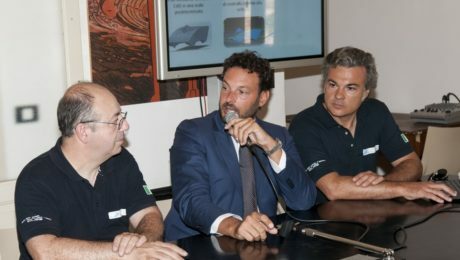 The historic Premio Capitani dell’Anno 2016 for the first year has its automotive section in “Capitani dell’Anno Auto e Moto” and is an expected and constant event for the Italian entrepreneurship, research, culture and solidarity. “An award to the commitment, determination and passion of the Captains, who over the years has brought together in the same context, some of the most important and best known of the Italian country along with the most interesting and innovative startups.”. A prestigious award we were happy to accept, with the aim to forward the instances that are the heart of our association: sustainable mobility, research and economic development and education. La presentazione tecnica di una squadra può apparire come qualcosa di accessorio alla gara alla quale si partecipa, ma è importante per comprendere come la squadra stessa si rappresenta e su quali valori ha fondato la sua mission. 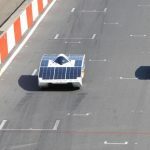 Possiamo affermarlo con un pizzico di gioia e soddisfazione: siamo in Belgio, nel circuito di Zolder, per l’iLumen European Solar Challenge e oggi abbiamo affrontato le prime due prove: KO chicane e la presentazione tecnica. Ognuna delle dodici squadre ha portato una presentazione in pdf della durata massima di dieci minuti su una particolare eccezione o un’innovazione tecnica del veicolo, tenendo un discorso in inglese. Il relatore del nostro team è stato Simone Rambaldi: eccolo nel video che segue. The technical presentation of a team may look like incidental to the race, but it’s important to understand how the team represent itself and its values. We can say with a touch of happiness and satisfaction, we are in Belgium, in Zolder, for iLumen European Solar Challenge and today we have faced the first two tests: KO chicane and the technical presentation. Each of the twelve teams brought a pdf presentation (maximum ten minutes) about a particular exception or a technical innovation of the vehicle; the presentation was held in English. Our speaker was Simone Rambaldi: here in the video below. It is really correct to compare the love for numbers with a passion for the sentiments? Wrote Enzo Di Bella: “Dreams are the spice of life: run for 24 hours on a difficult track like Zolder, with Archimede designed and built with the same money that other teams have spent on the electric motor of their cars, is priceless and even more so to share this dream with people from co-workers have become brothers and sisters. “. 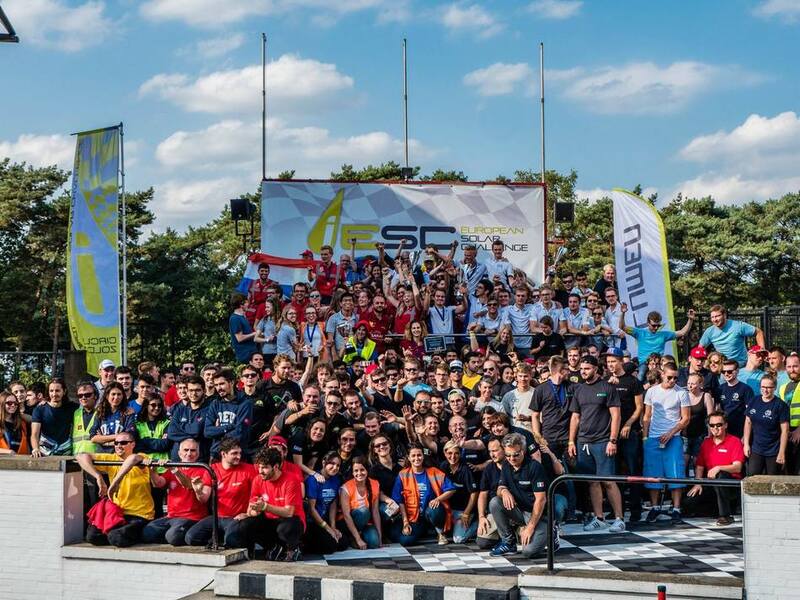 Dreams, feelings and sharing: iLumen European Solar Challenge 2016 racing edition, in Zolder, Belgium, has given space to all this; we made friends with all the teams in the race, we exchanged shirts, food and compliments. We were tense, then excited, finally happy. The reception was outstanding. Essential role of our race strategy was based on the real-time collection of data transmitted by Archimede in the race, pit stops and during the two recharges that could be made by regulation. The numbers we obtained and analyzed surprised us (a little) and satisfied us. 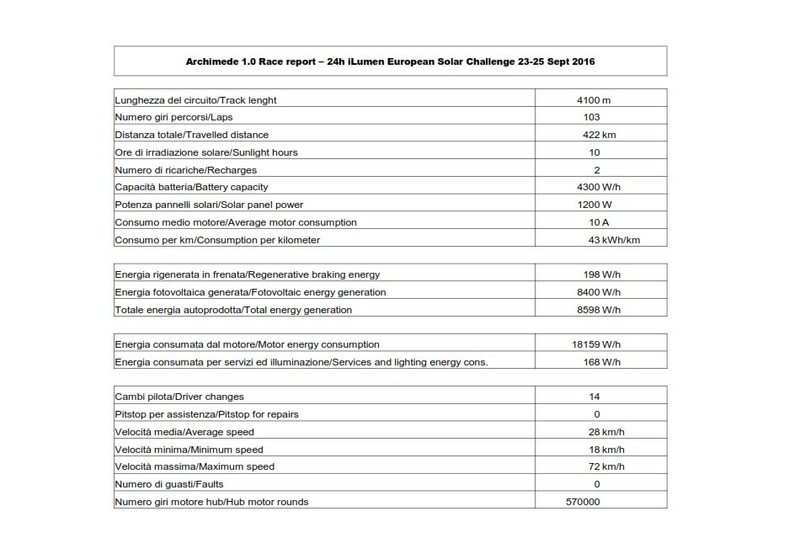 The first numbers we notice are emotional: for the first time Archimede has traveled 422 kilometers, consuming 18327 Wph and produces its own 8598 Wph despite only 10 hours of 24 of sunlight total and doing two recharges at night. 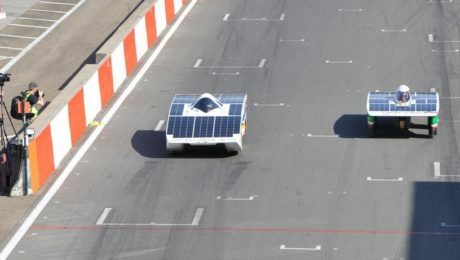 Although Archimede could reach the speed of 72 kph, the average speed with which we have traveled the circuit was 28 kph, this might not seem at all exciting, but maintain a more or less constant speed in a race endurance gave us a chance to get to the end of the 24 together Olympus solar car. The numbers that we publish in this news are proof that the work done until now is the solid foundation of the work of the year to come and the next targets to reach. È davvero corretto contrapporre l’amore per i numeri con la passione per i sentimenti? 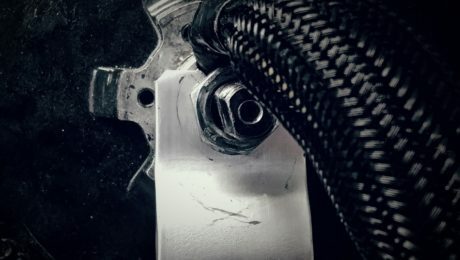 Ha scritto Enzo Di Bella: “I sogni sono il sale della vita: riuscire a girare per 24 ore in una pista difficile come Zolder, con Archimede progettata e realizzata con gli stessi soldi che gli altri team hanno speso per il motore elettrico delle loro vetture, non ha prezzo e ancor di più condividere questo sogno con persone che da compagni di lavoro si sono trasformati in fratelli e sorelle.“. 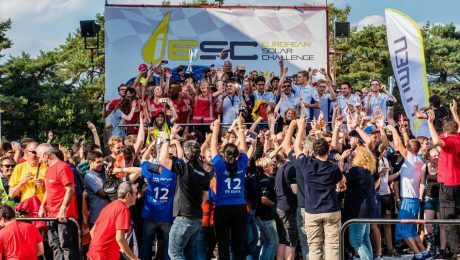 Sogni, sentimenti e condivisioni: gareggiare all’edizione 2016 dell’iLumen European Solar Challenge nel circuito di Zolder, in Belgio ha dato spazio a tutto questo; abbiamo fatto amicizia con tutte le squadre in gara, ci siamo scambiati magliette, cibo e complimenti. Eravamo tesi, poi entusiasti, infine felici. L’accoglienza è stata eccezionale. Parte fondamentale della nostra strategia di gara si è basata sulla raccolta in tempo reale dei dati trasmessi da Archimede in corsa, al pit stop e durante le due ricariche che potevamo effettuare da regolamento. I numeri che abbiamo ricavato e analizzato ci hanno sorpreso (un po’) e soddisfatto. I primi numeri che saltano agli occhi sono emozionali: per la prima volta Archimede ha percorso 422 chilometri, consumando 18327 W/h e autoproducendo 8598 W/h nonostante sole 10 ore di irradiazione solare totali su 24 di gara ed effettuando due ricariche in notturna. Sebbene Archimede possa arrivare alla velocità di 72 km/h, la velocità media con la quale abbiamo percorso il circuito è stata di 28 km/h, questo potrebbe non sembrare per nulla emozionante, ma mantenere una velocità più o meno costante in una gara di endurance ci ha dato la possibilità di arrivare al termine delle 24 insieme all’Olimpo delle auto solari. I numeri che pubblichiamo in questa news sono la prova che il lavoro fatto fino ad oggi rappresenta le solide fondamenta del lavoro dell’anno a venire e dei prossimi obbiettivi da raggiungere. 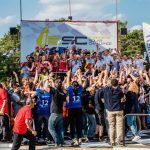 Andrea Aliffi, ingegnere, è uno dei componenti del team di Archimede 1.0 che guiderà la solar car durante la gara iLumen European Solar Challenge che affronteremo in Belgio dal 23 al 25 settembre. Conosciamolo meglio attraverso il video che potete trovare anche sul nostro canale Youtube. 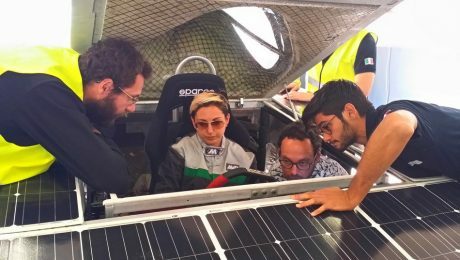 Andrea Aliffi, engineer, is one of the members of the Archimede 1.0 team who will drive the solar car during the race iLumen European Solar Challenge we will take on in Belgium 23 to 25 September. Be familiar with he through the video that you can also find on our Youtube channel. 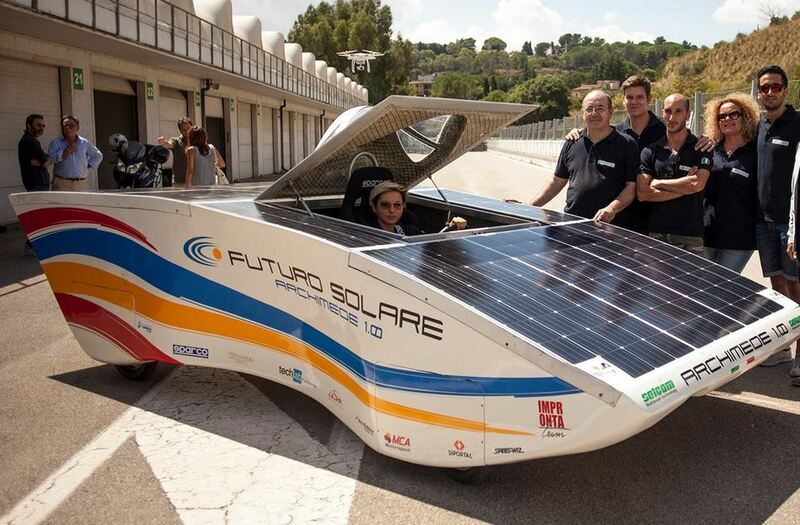 Q: We are with Andrea Aliffi, one of the Archimede 1.0 Solar Car team members. What is your role in the project? A: I take care of the car’s energy balance, I analyze the powers and energies involved in order to establish at best our race strategy. Besides that, like everyone else, I always helped Enzo in the building Archimede 1.0. Q: When and why did you start to participate in this project? A: Approximately a year before starting my thesis, when I met Enzo Di Bella thanks to my father: our collaboration began in this way. Q: A value of this project that you care and that you think is particularly important to convey. A: Archimede 1.0 moves with zero impact, we are promoting a radical change of mobility from a no profit reality which is our Association, in the hope of spreading our idea of sustainable mobility as they do many other people in the world. 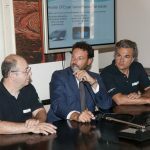 Marco Scalet, strumentista industriale e civile polivalente, è uno dei componenti del team di Archimede 1.0 che guiderà la solar car durante la gara iLumen European Solar Challenge che affronteremo in Belgio dal 23 al 25 settembre. Conosciamolo meglio attraverso il video che potete trovare anche sul nostro canale Youtube. Marco Scalet, electric and automation industrial expert, is one of the members of the Archimede 1.0 team who will drive the solar car during the race iLumen European Solar Challenge we will take on in Belgium 23 to 25 September. Be familiar with he through the video that you can also find on our Youtube channel. 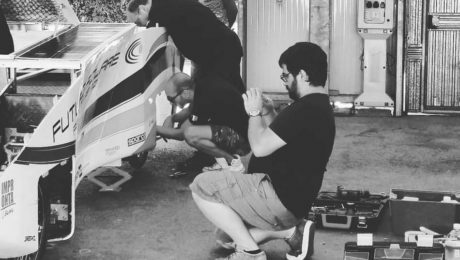 Q: We are with Marco Scalet, one of the Archimede 1.0 Solar Car team members. What is your role in the project? A: For this project I take care mainly solar car electronics: I develop radiometry and telemetry software. I take care, therefore, of all controls car; for example, temperature sensors, voltage sensors and electricity sensors. A: Maybe I am like a veteran in Futuro Solare. I met Enzo about six years ago and in association, from five years, since the electric bicycle project. A: Every day I try to make known our mission, in fact, I also have an electric motorcycle. I try to explain there is an alternative and Archimede is the proof. Above all, I think we can do something without having a high budget, many times the idea is worth more than money. 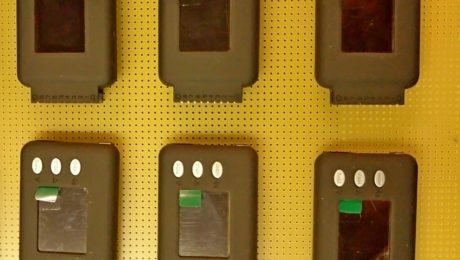 A proposito di elettronica, Arduino e programmazione, abbiamo già raccontato quanto tutto questo sia importante per Archimede. Lo scambio di competenze è un altro fattore che non smetterà mai di essere rilevante per i progressi che Futuro Solare compie quotidianamente. About electronics, Arduino and coding, we already told you as much as is important for Archimede.  The skills and knowledge exchange is another factor will never cease to be relevant for improvements of Futuro Solare performs daily. 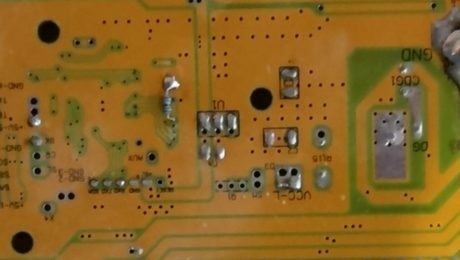 Un grande aiuto lo abbiamo ricevuto anche da Stefano Smania, medico ed esperto di elettronica, che ha ospitato Archimede sul suo sito e ci ha spiegato come usare i moduli nrf24 visto che tutto il sistema è gestito da Arduino. A great help as we also received from Stefano Smania, medical and electronics specialist, who hosted Archimede on its website and explained how to use the nrf24 modules since the whole system is operated by Arduino. Fra schemi e tabelle, cavi e cavetti, McMajan ha colto l’occasione per condividere competenze e librerie pubblicamente. Ancora una volta, Archimede è stata fonte di conoscenza. Between diagrams and tables, cables and wires, McMajan took the opportunity to share free skills and libraries. Once again, Archimede was a source of knowledge. “Ne abbiamo parlato spesso dei moduli NR24L01+, ma quest’oggi approfitto di una richiesta particolare che mi è giunta per effettuare alcune prove con i nuovi moduli che mi sono arrivati. In passato ero limitato da due soli moduli con antenna stampata, ma ora ho preso una decina di nuovi moduli a cui se ne aggiungono 4 con l’antenna esterna che dovrebbero garantirmi una portata decisamente superiore. Inoltre ho acquistato anche delle antenne esterne più performanti e sarà l’occasione per testarle.